David Wood gave Dr. Liu and Sunshine Traditional Chinese Acupuncture a shout out in his column in the River Falls Journal on May 6, 2018. See our mention at the bottom of the column. New Richmond Chamber Visit: Thanks to the New Richmond Area Chamber of Commerce for making the trek out to see our clinic. We appreciate the support and are happy to be part of the New Richmond Chamber. New Member at the Stillwater Chamber: And we are proud to announce we are new members at the Greater Stillwater Chamber of Commerce. We looking forward to being active members in Stillwater. On June 7 Dr. Liu spoke about Acupuncture and Traditional Chinese Medicine at Hudson Area Library. We had a great response to her talk at the River Falls Public Library and look forward to meeting more people in Hudson! Give the gift of good health and healing! 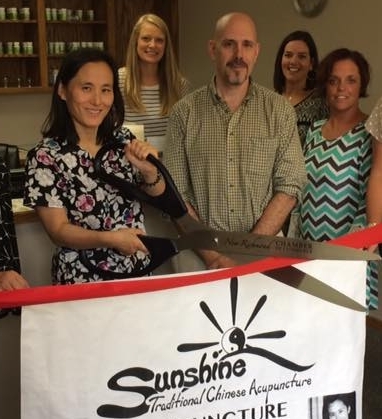 Sunshine Traditional Chinese Acupuncture offers Gift Certificates. Will this be the giftee's first visit? Remember, an initial consultation is also required before treatments begin (consultation fee is $75 regular or $60 for seniors). 5 Session Prepay does not include the consultation fee.Questions? Ask us. Sunshine Traditional Chinese Acupuncture participated in the University of Wisconsin--River Falls Health & Wellness Fair on April 12th. We had a great time meeting members of the university community and introducing them to our services--and our student, faculty, and staff discount! Thanks to UWRF for inviting us to participate. Thanks to the RF Chamber Ambassadors for coming to our clinic for a tour and a bit more information about acupuncture in River Falls! Dr. Liu will speak about acupuncture and traditional Chinese medicine at the River Falls Public Library at 6:30 p.m. on March 15th. Come to learn more about acupuncture treatment and the conditions it treats, as well as the broader traditional Chinese medicine theory of which acupuncture is a part. The event will also be a great time for you to ask your own questions about the topic. Happy Chinese New Year: The Year of the Rooster! The rooster crows at dawn, a perfect metaphor for our new clinic: Sunshine Traditional Chinese Acupuncture. 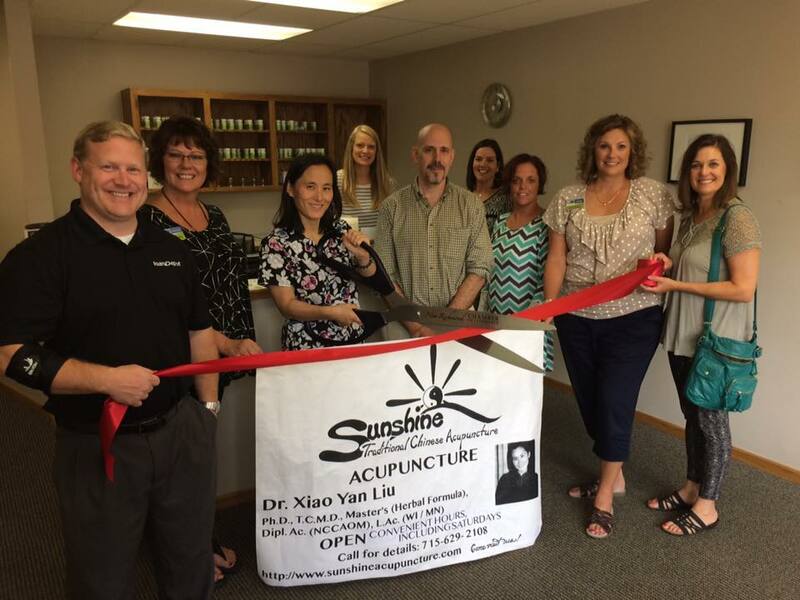 Find us at Sunshine Traditional Chinese Acupuncture. Are you 65 years old or older? Your insurance doesn't cover acupuncture?